If new information is correct, then we should see some nice AMD and NVIDIA cards coming later this year. As well as Radeon HD 6990 and 1 GB version of Radeon HD 6970 later this month. 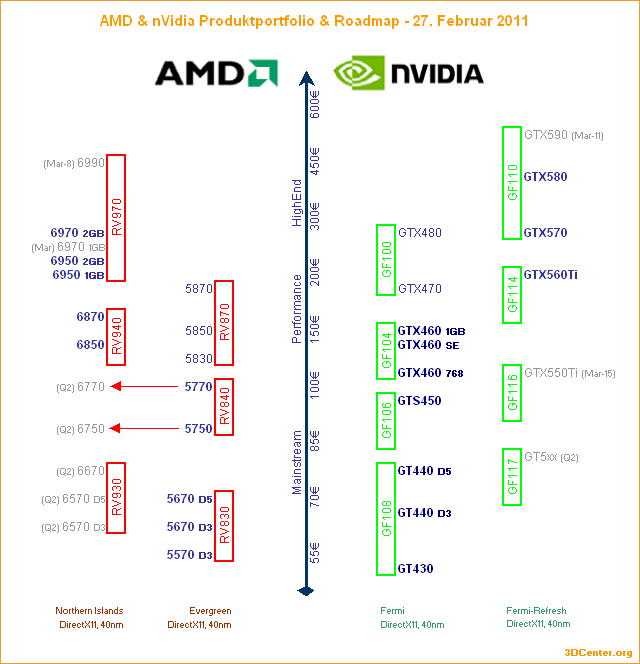 As for NVIDIA, GTX590 is scheduled for the March 11th release, GTX550Ti – March 15th and GT5xx should be launched in the second quarter of 2011.